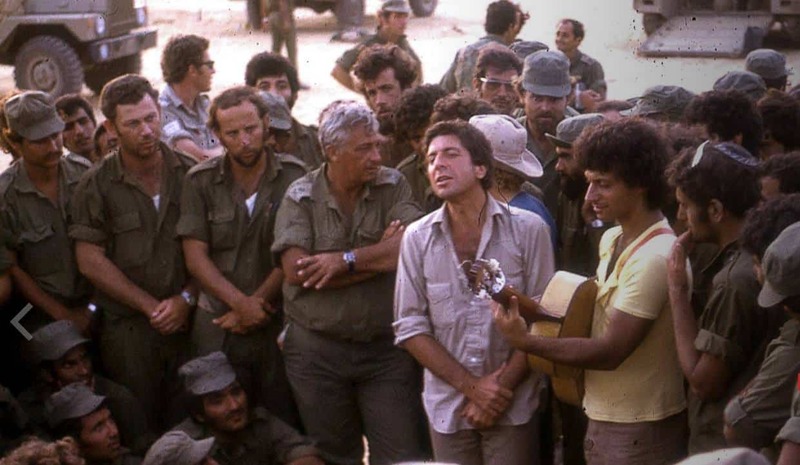 2016 continues to be the year G-d recruits for the band of the century, with legendary Jewish singer-songwriter Leonard Cohen passing away at the age of 82. 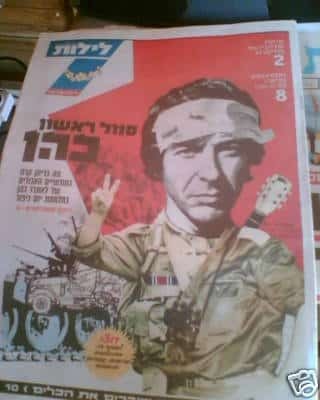 For many Israelis, it is perhaps this iconic image they think of most when they think of Leonard Cohen. The original plan was to volunteer on a kibbutz even though he had no idea what a kibbutz was or what he would do there. The values that the IDF represented intrigued and attracted him, and he was determined to join the army and give of his talents. 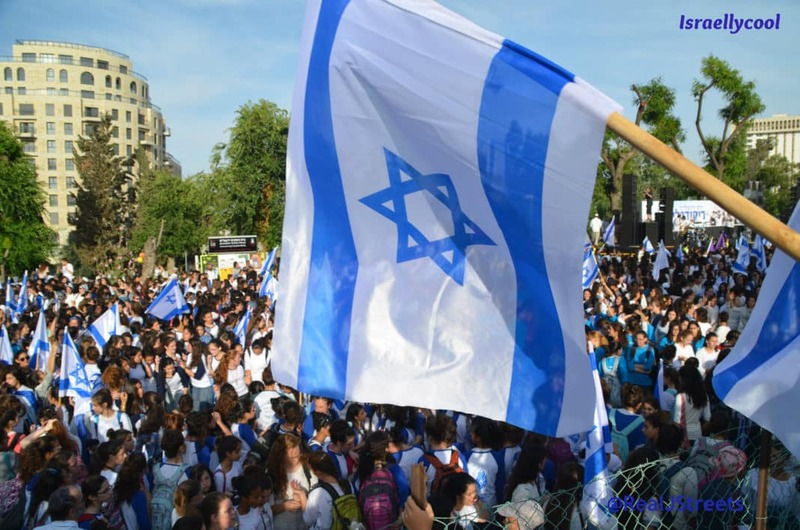 Cohen believed he would contribute significantly to the Israeli struggle. “I will go and stop Egypt’s bullet,” he said, with a measure of bravado, in one of his poems. It was not the first time Cohen had tried to feel close to war. The war stories of his father, who had fought in World War I, influenced him deeply, and Cohen loved to look at his father’s photo album, which was filled with photographs of him in his uniform, holding his gun. 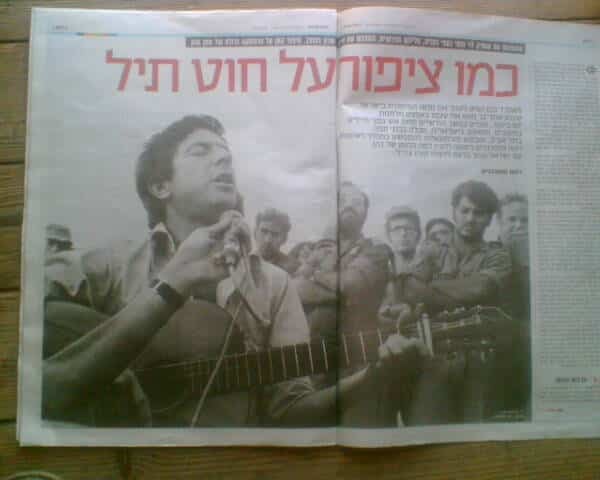 While quite a few of the soldiers didn’t know who Cohen was, others identified his songs and his voice, and were very touched that Cohen had come to Israel to be with them during those difficult times. For those who knew Cohen, his show was an extraordinary event. After all, it was not every day that they got to be present at a private, intimate performance just for them. It was a musical escape from hell. 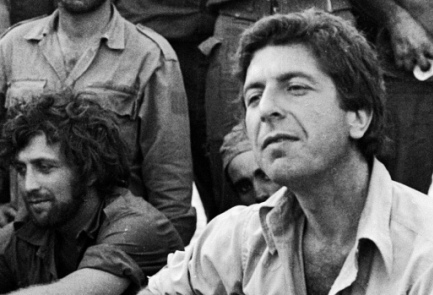 During one show, before Cohen sang “So Long, Marianne,” he told the soldiers: This song should be listened to at home, with a drink in one hand and your other arm around a woman you love. I hope you’ll have that soon. Update: Did this experience influence his decision to come back to Israel and help the troops?